The methods room. Web based training program in research methods, Period: 2016-18, Investigators: Lorem, Iversen, Skjeldestad, Robertsen. Nurses go aMOOC. A flexible post graduation study for nurses specializing in nursing tradition, history and theory. Funding Body: Norgesuniversitetet (2014-16), Investigators: Holm, Furu, Lorem, Fause, Storli. Riley, Henriette; Lorem, Geir F; Høyer, Georg. Community treatment orders – what are the views of decision makers?. Journal of Mental Health 2018; Volum 27 (2). ISSN 0963-8237.s 97 - 102.s doi: 10.1080/09638237.2016.1207230. Laholt, Hilde; McLeod, Kim; Guillemin, Marilys; Beddari, Ellinor; Lorem, Geir F. Ethical challenges experienced by public health nurses related to adolescents' use of visual technologies. Nursing Ethics 2018. ISSN 0969-7330.s doi: 10.1177/0969733018779179. Laholt, Hilde; Guillemin, Marilys; McLeod, Kim; Olsen, Randi Elisabeth; Lorem, Geir F. Visual methods in health dialogues: A qualitative study of public health nurse practice in schools. Journal of Advanced Nursing 2017; Volum 73 (12). ISSN 0309-2402.s 3070 - 3078.s doi: 10.1111/jan.13371. Lorem, Geir F; Schirmer, Henrik; Emaus, Nina. What is the impact of underweight on self-reported health trajectories and mortality rates: a cohort study. Health and Quality of Life Outcomes 2017; Volum 15 (191). ISSN 1477-7525.s doi: 10.1186/s12955-017-0766-x. Klausen, Rita Kristin; Karlsson, Marie; Haugsgjerd, Svein; Lorem, Geir F. Narrative performances of user involvement among service users in mental health care. (sammendrag) Narrative Inquiry 2017; Volum 27 (1). ISSN 1387-6740.s 149 - 168.s doi: 10.1075/ni.27.1.08kla. Klausen, Rita Kristin; Karlsson, Marie; Haugsgjerd, Svein; Lorem, Geir F. Motherhood and mental distress: Personal stories of mothers who have been admitted for mental health treatment. Qualitative Social Work 2016; Volum 15 (1). ISSN 1473-3250.s 103 - 117.s doi: 10.1177/1473325015584981. Mathisen, Vår; Lorem, Geir F; Obstfelder, Aud; Måseide, Per. Whose decision is it anyway? A qualitative study of user participation and how clinicians deal with the patient perspective in mental healthcare. Mental Health Review Journal 2016; Volum 21 (4). ISSN 1361-9322.s 249 - 260.s doi: 10.1108/MHRJ-01-2016-0003. Klausen, Rita Kristin; Blix, Bodil Hansen; Karlsson, Marie; Haugsgjerd, Svein; Lorem, Geir F. Shared decision making from the service users’ perspective. A narrative study from community mental health centers in Northern Norway. Social Work in Mental Health 2016; Volum 15 (3). ISSN 1533-2985.s 354 - 371.s doi: 10.1080/15332985.2016.1222981. Solbrække, Kari Nyheim; Lorem, Geir F. Breast-cancer-ization explored: Social experiences of gynaecological cancer in a Norwegian context. Sociology of Health and Illness 2016; Volum 38 (8). ISSN 0141-9889.s 1258 - 1271.s doi: 10.1111/1467-9566.12459. Lorem, Geir F; Schirmer, Henrik; Emaus, Nina. Health impact index. Development and validation of a method for classifying comorbid disease measured against self-reported health. (data) (fulltekst) (sammendrag) PLoS ONE 2016; Volum 11:e0148830 (2). ISSN 1932-6203.s doi: 10.1371/journal.pone.0148830. Lian, Olaug S; Lorem, Geir F. “I do not really belong out there anymore”: Sense of being and belonging among people With medically unexplained long-term fatigue. (fulltekst) Qualitative Health Research 2016; Volum 27 (4). ISSN 1049-7323.s 474 - 486.s doi: 10.1177/1049732316629103. Fauske, Lena; Lorem, Geir F; Grov, Ellen Karine; Bondevik, Hilde. Changes in the body image of bone sarcoma survivors following surgical treatment - A qualitative study. (fulltekst) Journal of Surgical Oncology 2016; Volum 113 (2). ISSN 0022-4790.s 229 - 234.s doi: 10.1002/jso.24138. Mathisen, Vår; Obstfelder, Aud; Lorem, Geir F; Måseide, Per. User participation in district psychiatry. The social construction of "users" in handovers and meetings. Nursing Inquiry 2016; Volum 23 (2). ISSN 1320-7881.s 169 - 177.s doi: 10.1111/nin.12127. Lorem, Geir F; Hem, Marit Helene; Molewijk, Albert Christiaan. Good coercion: Patients' moral evaluation of coercion in mental health care. International Journal of Mental Health Nursing 2015; Volum 24 (3). ISSN 1445-8330.s 231 - 240.s doi: 10.1111/inm.12106. Mathisen, Vår; Obstfelder, Aud; Lorem, Geir F; Måseide, Per. Brukermedvirkning i psykiatriske institusjoner. Praktisering av "brukermedvirkning" gjennom miljøterapeutiske aktiviteter. Nordisk tidsskrift for helseforskning 2015; Volum 11 (2). ISSN 1504-3614.s 16 - 31.s doi: 10.7557/14.3710. Roaldsen, Bente Lisbet; Sørlie, Tore; Lorem, Geir F. Cancer survivors' experiences of humour while navigating through challenging landscapes - a socio-narrative approach. (fulltekst) Scandinavian Journal of Caring Sciences 2015; Volum 29 (4). ISSN 0283-9318.s 724 - 733.s doi: 10.1111/scs.12203. Riley, Henriette; Høyer, Georg; Lorem, Geir F. 'When coercion moves into your home’ – a qualitative study of patient experiences with outpatient commitment in Norway. Health & Social Care in the Community 2014; Volum 22 (5). ISSN 0966-0410.s 506 - 514.s doi: 10.1111/hsc.12107. Lind, Ranveig; Nortvedt, Per; Lorem, Geir F; Hevrøy, Olav. Family involvement in the end-of-life decisions of competent intensive care patients. Nursing Ethics 2013; Volum 20 (1). ISSN 0969-7330.s 61 - 71.s doi: 10.1177/0969733012448969. Jenssen, Gunn-Mari; Tingvoll, Wivi-Ann; Lorem, Geir F. Smertebehandling til personer med langtkommen demens. Geriatrisk sykepleie 2013; Volum 5 (3). ISSN 1891-1889.s 26 - 34. Klausen, Rita Kristin; Haugsgjerd, Svein; Lorem, Geir F. "The Lady in the Coffin"- Delusions and Hearing Voices: A Narrative Performance of Insight. Qualitative Inquiry 2013; Volum 19 (6). ISSN 1077-8004.s 431 - 440.s doi: 10.1177/1077800413482096. Lorem, Geir F; Hem, Marit Helene. Attuned Understanding and Psychotic Suffering: A Qualitative Study of Healthcare Professionals’ Experiences in Communicating and Interacting with Patients. International Journal of Mental Health Nursing 2012; Volum 21 (2). ISSN 1445-8330.s 114 - 122.s doi: 10.1111/j.1447-0349.2011.00773.x. Stiberg, Elsa; Holand, Unni; Olstad, Reidun E.; Lorem, Geir F. Teaching Care and Cooperation with Relatives: Video as a Learning Tool in Mental Health Work. Issues in Mental Health Nursing 2012; Volum 33 (8). ISSN 0161-2840.s 528 - 535.s doi: 10.3109/01612840.2012.687804. Lind, Ranveig; Lorem, Geir F; Nortvedt, Per; Hevrøy, Olav. Intensive Care Nurses' Involvement in the End-of-Life Process - Perspectives of Relatives. Nursing Ethics 2012; Volum 19 (5). ISSN 0969-7330.s 666 - 676.s doi: 10.1177/0969733011433925. Lind, Ranveig; Lorem, Geir F; Nortvedt, Per; Hevrøy, Olav. Family members' experiences on "wait and see" as a communication strategy in end-of-life decisions. Intensive Care Medicine 2011; Volum 37 (7). ISSN 0342-4642.s 1143 - 1150.s doi: 10.1007/s00134-011-2253-x. Lorem, Geir F. The Patient Experience with Psychosis as Seen from the Helper’s Point of View. (omtale) (prosjekt) Inter-Disciplinary Press 2009 ISBN 978-1-848880-10-8.s 103 - 123. Lorem, Geir F. The Suffering of Psychosis: The Patient Experience as Seen from the Helper’s Point of View. Inter-Disciplinary Press 2009 ISBN 978-1-904710-83-7.s 27 - 42. Lorem, Geir F. Making sense of stories: the use of patient narratives within mental health care research. Nursing Philosophy 2008; Volum 9 (1). ISSN 1466-7681.s 62 - 71. Lorem, Geir F. Innsikt til besvær – Forståelse og samhandling med personer med psykotiske lidelser. (fulltekst) Impuls : Tidsskrift for psykologi 2008; Volum 62 (2). ISSN 0801-2911.s 40 - 48. Lorem, Geir F. Nærhet uten distanse vs distanse uten nærhet. En fenomenologisk tilnærming på erfaringsnær forskning. Nordisk tidsskrift for helseforskning 2008; Volum 4 (2). ISSN 1504-3614.s 66 - 80. Lorem, Geir F; Bakken, Kjersti. Hvorfor gjør ikke folk som legen sier? Bruken av compliancebegrepet innen psykiatrien. Vård i Norden 2007; Volum 27 (2 = 84). ISSN 0107-4083.s 48 - 51. Lorem, Geir F. Filosofi på grensen av det normale - Hvordan påvirkes filosofiens syn på forståelse av møtet med psykisk helsevern?. Tidsskrift for psykisk helsearbeid 2006; Volum 3 (1). ISSN 1503-6707.s 69 - 80. Lorem, Geir F. Om Mot - En refleksjon over realismen og nødvendigheten ved å utvise mot i en moderne krig. Pacem : militært tidsskrift for etisk og teologisk refleksjon 1999; Volum 2 (1). ISSN 1500-2322.s 47 - 57. Lorem, Geir F. Psykisk helse; forståelse, kommunikasjon og samspill. Cappelen Damm Akademisk 2014 ISBN 9788202350185. Lorem, Geir F. Samspill i psykisk helsearbeid - forståelse, kommunikasjon og samhandling med psykisk syke. Cappelen Damm Akademisk 2006 ISBN 82-02-26044-2. Laholt, Hilde; Lorem, Geir F. Visual Methods in health dialogues, a qualitative study of how visualization is utilized as school nursing practice. The Australian Sociological Association Annual Conference 2018 2018-11-19 - 2018-11-22 2018. Lorem, Geir F. NOKUT-frokost til UiT – Norges arktiske universitet. (omtale) 2018. Mathisen, Vår; Obstfelder, Aud; Lorem, Geir F; Måseide, Per. Praktisering av brukermedvirkning i miljøterapeutiske aktiviteter. Fagkongress i ergoterapi 2017-11-06 - 2017-11-08 2017. Lorem, Geir F. The unbearable lightness of being lean. What is the impact of underweight on self-reported health trajectories and mortality rates?. ISM onsdagsmøte 2017-10-24 - 2017-10-24 2017. Lorem, Geir F. Nå dominerer jentene disse studiene og det vekker bekymring. (fulltekst) 2017. Lorem, Geir F. Jentene dominerer profesjonsstudiene. (fulltekst) 2017. Lorem, Geir F. Fra filosofi til epidemiologi - er det mulig?. Forsk på tvers med Tromsøundersøkelsen! 2017-05-10 - 2017-05-10 2017. Lorem, Geir F. Metoderommet. Åpne felles undervisningsressurser til bruk i læring av forskningsmetoder for profesjonsfag- og masterstudenter ved Det helsevitenskapelige fakultet. Helsefaglig pedagogisk seminar 2017-03-30 - 2017-03-30 2017. Lorem, Geir F. Syke er mer deprimerte enn før. 2017. Lorem, Geir F. Sykdom: Det er ikke uvanlig å få en psykisk reaksjon på en fysisk sykdom. 2017. Lorem, Geir F. Overraskende funn ved UiT – måten sykdom påvirker oss er i endring. 2017. Edvardsen, Trine Lise; Lorem, Geir F. Palliativ omsorg til kreftpasienter i kommunehelsetjenesten «Hvilke utfordringer møter sykepleierne i små kommuner i Finnmark, i ytelsen av palliativ omsorg til kreftpasienter, og hvordan forholder de seg til disse utfordringene?». 2016. Lorem, Geir F; Schirmer, Henrik; Emaus, Nina. How to classify the health strain of comorbidity in epidemiological research? Development and validation of a method based on the Tromsø study.. Regional forskningskonferanse 2016-11-02 - 2016-11-03 2016. Lorem, Geir F; Schirmer, Henrik; Emaus, Nina. Changes in self-reported health trajectories with focus on ageing in the Tromsø study. Regional helseforskningskonferanse 2016-11-02 - 2016-11-03 2016. Laholt, Hilde; Lorem, Geir F; Olsen, Randi Elisabeth; Beddari, Ellinor. Oppfølging av fagutviklingskurs: 2 timers work shop. Work shop i visuelle metoder 2016-05-27 - 2016-05-27 2016. Laholt, Hilde; Lorem, Geir F. A visual study on how Public health nurses use visualization in health dialogue with adolescents in school. IVSA 2016 Visualizing Sustainability 2016-06-22 - 2016-06-24 2016. Laholt, Hilde; Lorem, Geir F; Olsen, Randi Elisabeth; Beddari, Ellinor. Visuelle metoder i helsesamtalen. Heldagskurs i bruk av visuelle metoder for helsesøstre i Tromsø kommune. Fagutviklingskurs 2016-04-01 - 2016-04-01 2016. Lorem, Geir F. Videreutdanning til samfunnets beste. (fulltekst) UiT Helseblogg 2016. McLeod, Kim; Hansen, Per Frank; Lorem, Geir F. Visual Methods - an introduction. (fulltekst) 2015. Lorem, Geir F; Hansen, Per Frank. Økologiske studier - en introduksjon. (fulltekst) 2015. Lorem, Geir F. Medikamenter og brukermedvirkning? En kvalitativ studie av brukeres erfaringer med antipsykotika.. Forskningsgruppemøte om tvangsbehandling med hovedfokus på tvangsmedisinering 2015-05-29 - 2015-05-30 2015. Lorem, Geir F. Making sense of patient stories about psychosis. Psykisk helse og rusmiddelforskning. Ubehag i kulturen eller kultur i ubehaget. 2015-02-02 - 2015-02-04 2015. Lorem, Geir F. Narration and participation: stories from philosophical fieldwork. Medical Anthropology Reading Group 2014-05-16 - 2014-05-16 2014. Lind, Ranveig; Nortvedt, Per; Lorem, Geir F; Hevrøy, Olav. Avslutning av livsforlengende intensivbehandling - etterlatte familiers erfaringer. Nordisk konferanse: etikk i helsetjenesten 2013-03-07 - 2013-03-08 2013. Lorem, Geir F. Concordance or compliance? A qualitative study of patient experiences with mental health care in Norway. MSPGH Seminar 2013-11-20 - 2013-11-20 2013. Lorem, Geir F. Narrative Analysis. Research Discussion Group 2013-09-05 - 2013-09-05 2013. Lind, Ranveig; Lorem, Geir F; Nortvedt, Per; Hevrøy, Olav. Family members' experiences of decision-making processes in the context of withholding or withdrawing treatment in the ICU. 2013 ISBN 978-82-7589-383-1. Lind, Ranveig; Lorem, Geir F; Nortvedt, Per; Hevrøy, Olav. “Intensive care nurses’ involvement in the end-of-life process,- perspectives of families”. 13th International Nursing Ethics Conference 2012-10-04 - 2012-10-06 2012. Bongo, Berit Andersdatter; Elstad, Ingunn; Lorem, Geir F. Samer snakker ikke om helse og sykdom – Samisk forståelseshorisont og kommunikasjon om helse og sykdom. En kvalitativ undersøkelse i samisk kultur. 2012. Lorem, Geir F; Obstfelder, Aud. En forskningsetisk gråsone. Tidsskrift for Den norske legeforening 2012; Volum 132 (1433). ISSN 0029-2001.s doi: 10.4045/tidsskr 12.0285. Lorem, Geir F. Narrative medisin. En oversikt. Nettverksmøte for narrative metoder 2012-05-29 - 2012-05-29 2012. Lind, Ranveig; Lorem, Geir F; Nortvedt, Per; Hevrøy, Olav. ICU Nurses' Involvement in the End-of-life Decision-Making Process - Perspectives of relatives. European federation of Critical Care Nursing Associations, Congress 2011-03-24 - 2011-03-26 2011. Lorem, Geir F. Fortellinger som kildemateriell. Om bruk av narrative metoder innen helsefag. Fagdag 2011-05-04 - 2011-05-04 2011. Lorem, Geir F. Forskning på innsikt og sykdomsforståelse hos alvorlig sinnslidende. Innsikt og sykdomsforståelse hos alvorlig sinnslidende 2010-05-11 - 2010-05-11 2010. Lorem, Geir F. Hva er innsikt, og hvordan forstår behandlere begrepet?. Den 3. konferansen om tvang i psykisk helsevern: Menneskerettigheter, tvang og etikk 2010-11-24 - 2010-11-25 2010. Lorem, Geir F. Forståelse av schizofrenes verden og fortolkningsmakt. Kurs "Omsorg, makt og verdighet" 2008-09-09 - 2208-09-09 2008. Lorem, Geir F. Brukernes erfaringer sett fra hjelperens perspektiv. Et medisinsk-filosofisk perspektiv på schizofreni. Forskning nytter – kunnskap for bedre psykisk helse 2008-11-25 - 2008-11-25 2008. Lorem, Geir F. The suffering of psychosis: The patient experience as seen from the helper’s point of view. 1st Global Conference: The Patient (fulltekst) 2008-11-03 - 2008-11-05 2008. Lorem, Geir F. Forståelse og kommunikasjon som grunnlag for relasjoner. Fagdag 2007-12-06 - 2007-12-06 2007. Lorem, Geir F. Når sykdom står i veien for forståelse - vekt på brukermedvirkning. Fagdag om brukermedvirkning 2006-09-04 - 2006-09-04 2006. Lorem, Geir F. Religious self-identity and a schizophrenic mind. Istoki: Svjetsa-2005 2005-11-14 - 2005-11-16 2005. Lorem, Geir F; Wifstad, Åge; Rossvær, Viggo. Witdrawal and Exclusion - A study of the spoken word as means of understanding schizophrenic patients. 2005 ISBN 8290262876. 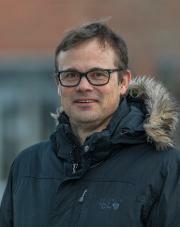 Lorem, Geir F. Forsvar for verdier - utfordringer for farmasøyter i humanitære hjelpeoppdrag. Kurs i samfunnsfarmasi 2004-09-07 - 2004. Lorem, Geir F. Den annen som førsteperson - en innføring i Levinas. Idé 1999 (2). ISSN 0046-8517. Lorem, Geir F; Rossvær, Viggo. Medmennesket og Værens Frembrudd. 1997.